Memorial Day is finally here. It is the kick off to summer cocktails and BBQ parties in my book. We all want that refreshing cocktail in the summer that doesn’t require a lot of work. This grapefruit rum punch, with Prosecco and a touch of Brandy can become a staple summer drink at your next gathering. It’s light and refreshing. Hope you all had a great holiday weekend with family and friends. Take your pitcher or punch bowl and muddle mint and grapefruit. 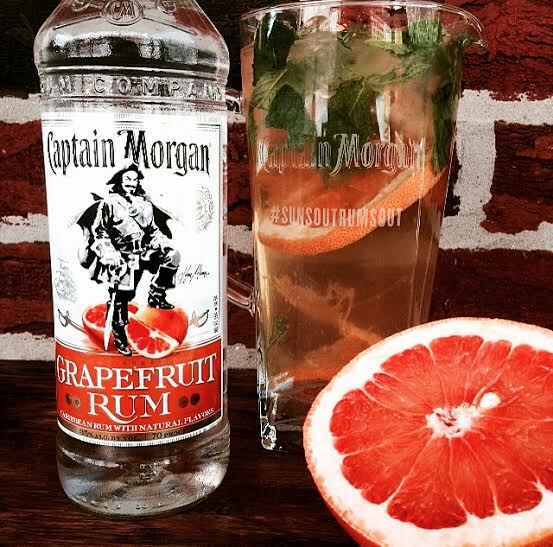 Now add ice cubes, simple syrup, and Captain Morgan grapefruit rum, stir. Next add the final ingredients; Prosecco, lime juice, club soda and Brandy. Stir and serve. Enjoy!